Famed rock and roll guitarist Johnny Thunders arrives in New Orleans to get his life together after a toll of hardships, but instead falls into a dark journey and trail of events that are based on his real life unexplained mysterious death. 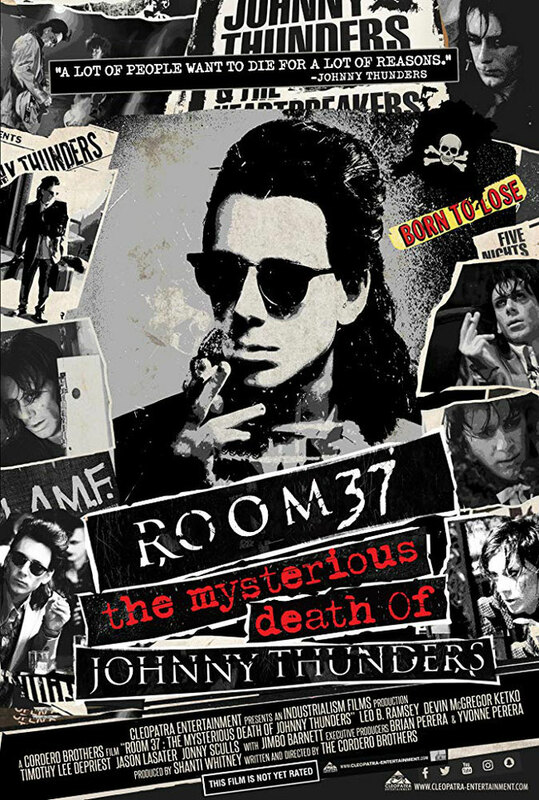 The upcoming Cleopatra-Entertainment' “Room 37, The Mysterious Death Of Johnny Thunders" will traces the history of the great musician and the night he died. John Anthony Genzale (July 15, 1952 – April 23, 1991), better known by his stage name Johnny Thunders, was an American rock and roll/punk rock guitarist, singer and songwriter. He came to prominence in the early 1970s as a member of the New York Dolls. He later played with The Heartbreakers and as a solo artist. An autopsy was conducted by the New Orleans coroner, but served only to compound the mysteries. According to Thunders' biographer Nina Antonia as posted on the Jungle Records web site, the level of drugs found in his system was not fatal. According to the book Rock Bottom: Dark Moments in Music Babylon by Pamela Des Barres, who interviewed Thunders' sister, Mariann Bracken, the autopsy confirmed evidence of advanced leukemia, which would explain the decline in Thunders' appearance in the final year of his life.